Official measures of poverty and inequality are generally produced with a multi-year time lag and have varying levels of coverage across countries. 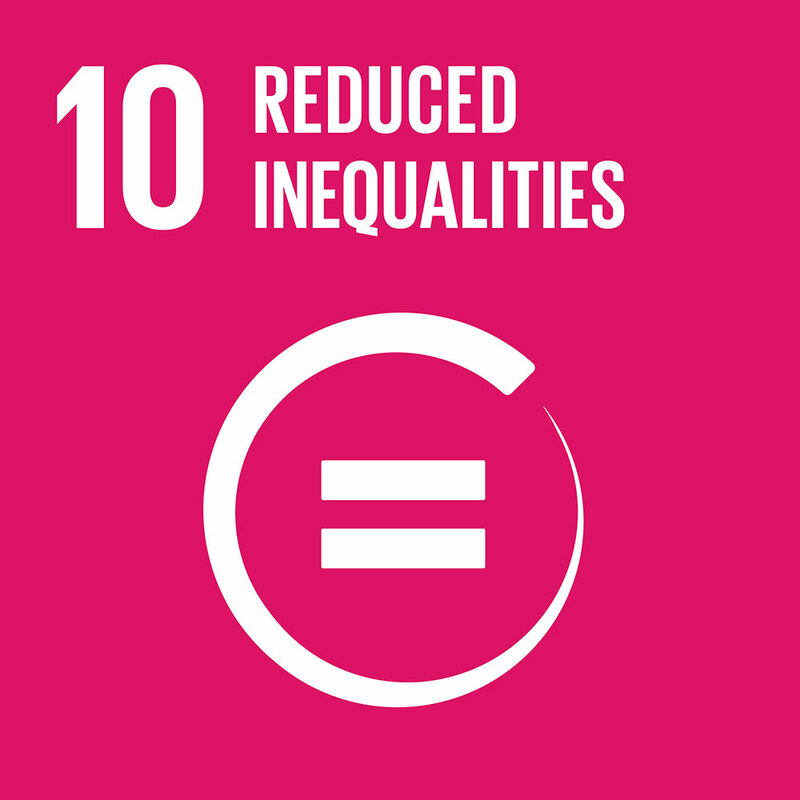 With the project, we aimed to use big data sources and methodologies to measure socio-economic indicators to inform SDG10 - Reduce inequality within and among countries. We present here the results of analyzing utility (water consumption) data in Kampala to inform SDG10. 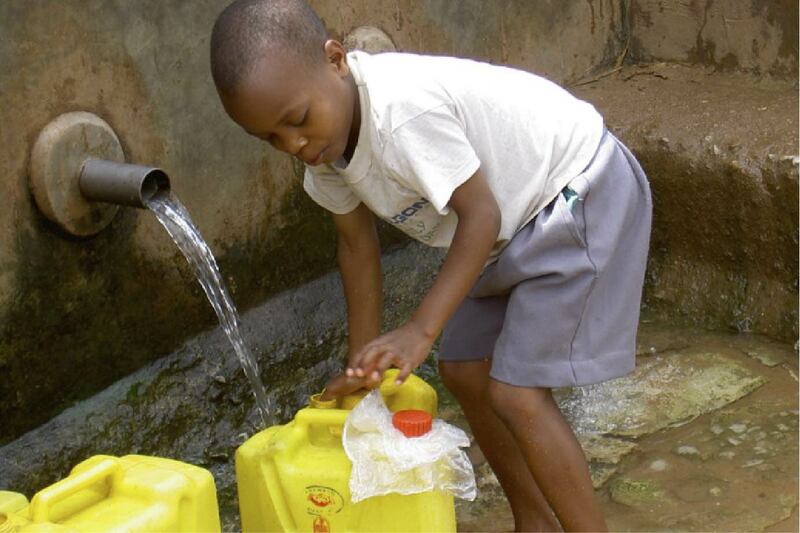 With this project, we tested the use of utility (water) consumption data to measure inequality in Kampala. 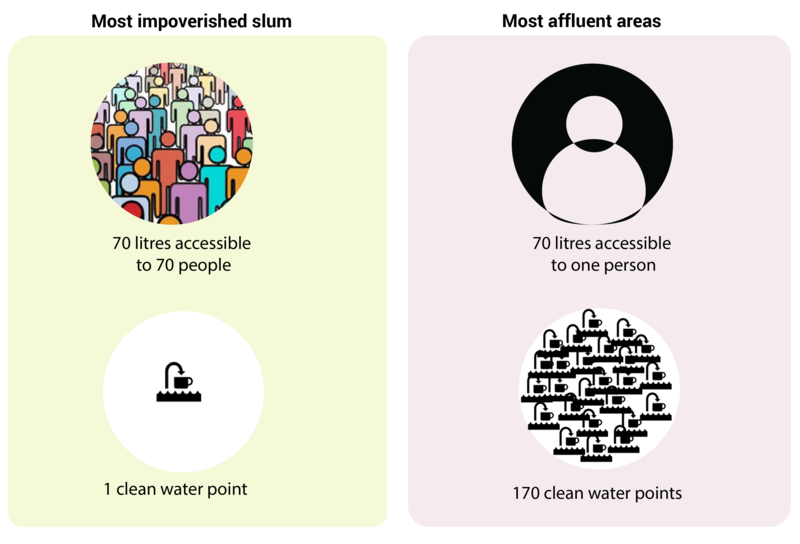 Our objective was to estimate inequality in an urban setting measured with actual water consumption. 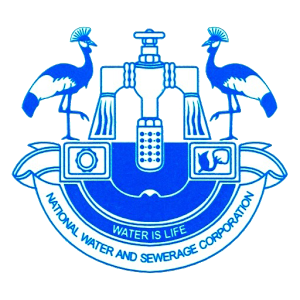 A total of 60,000 records of water consumption (billing data) from the National Water and Sewerage Corporation (NWSC) were analysed to assess data quality and define the scope of the project. We selected data collected by NWSC domestic and public standpipe meters only (excluding institution or government and commercial standpipe meters). The unit of measurement selected was water consumption. 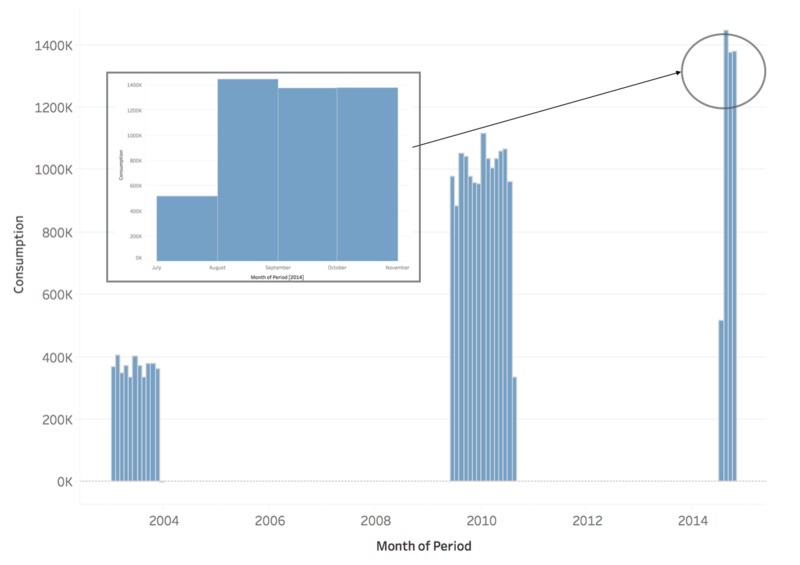 We used Google Earth to create dynamic visualizations that allow understanding of trends and changes in areas over time. Geographical distribution of water consumption in Kampala. Disclaimer – To protect NWSC data, the data presented in the visualization is a mock up. 11 slums were digitized and the same calculations were done in 5 affluent parishes in Kampala including Kololo I, Nakasero III, Nsambya Housing Estate, Makindye I and Kyambogo for comparison. 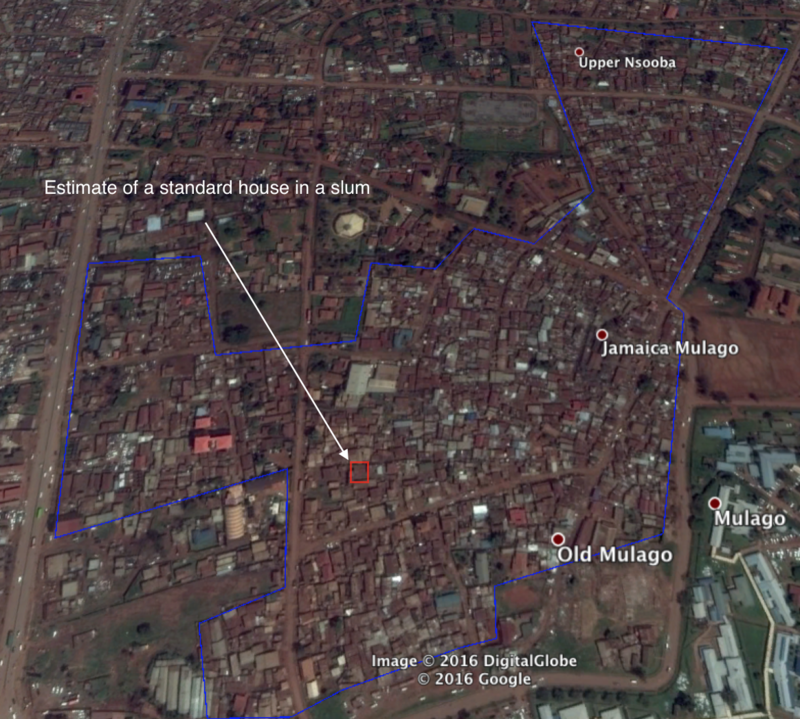 We estimated the physical average area of a household in the slums using satellite imagery. We estimated the number of individuals in a household in the slums using socio-economic studies. We applied the calculations to estimate the population in the slums. 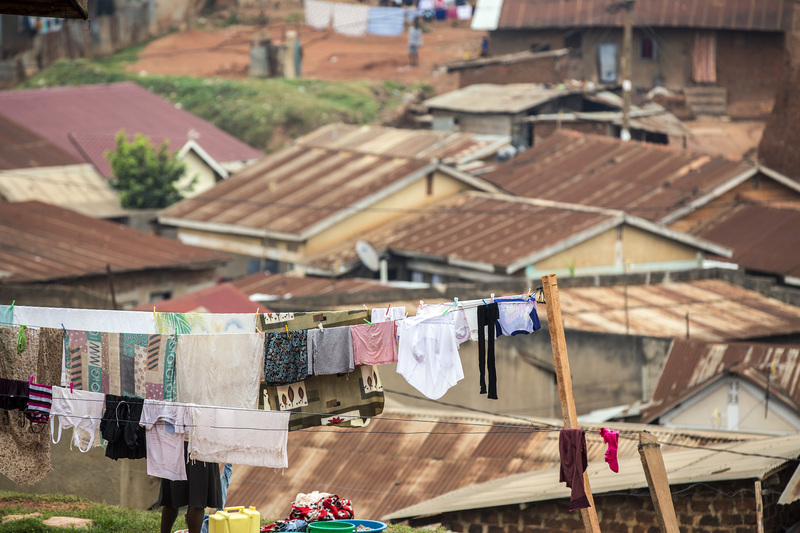 Estimating the population in slums in Kampala.